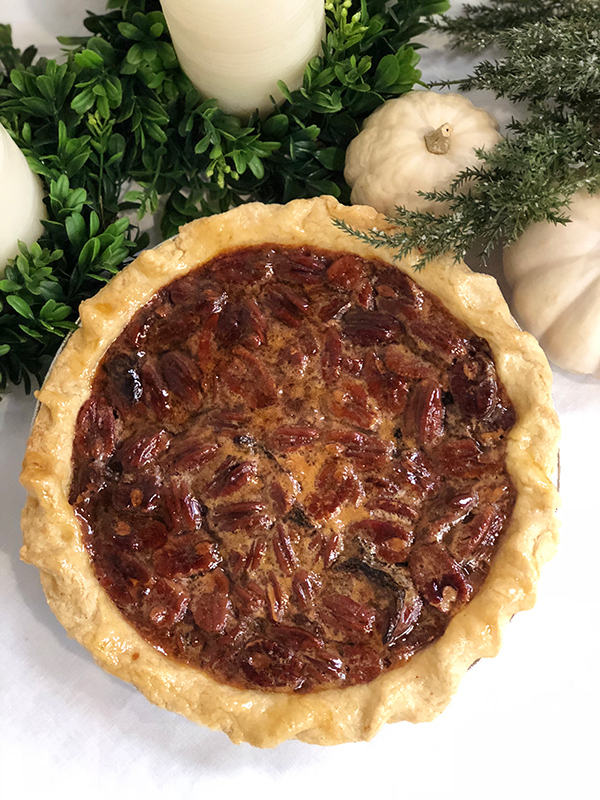 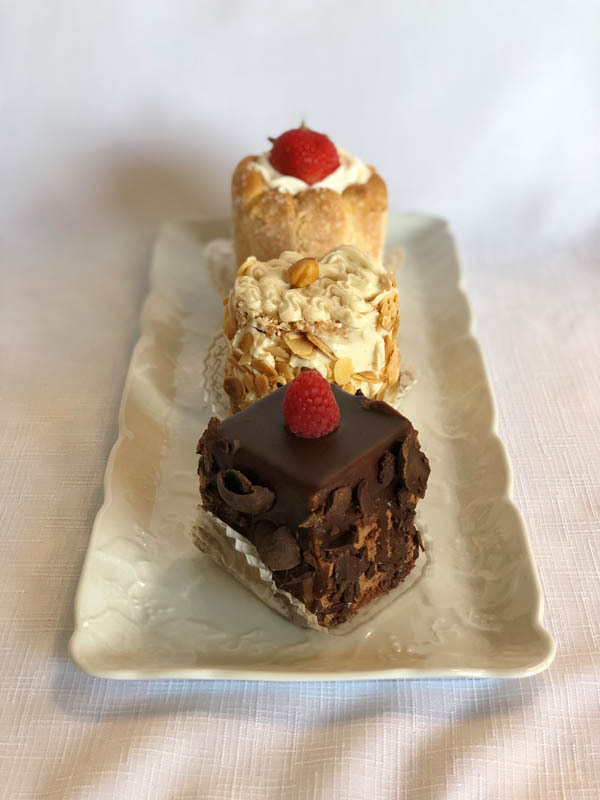 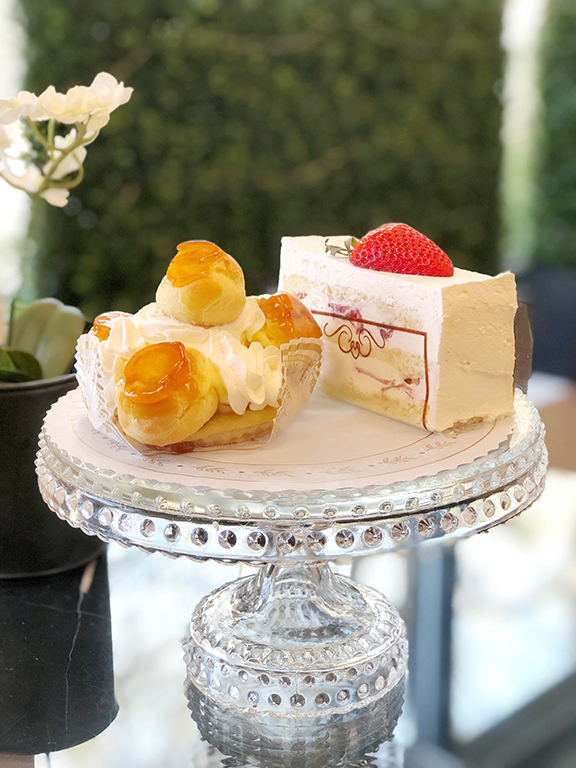 A glistening display case beckons with rich gateaux, glorious tarts, and delectable pastries. 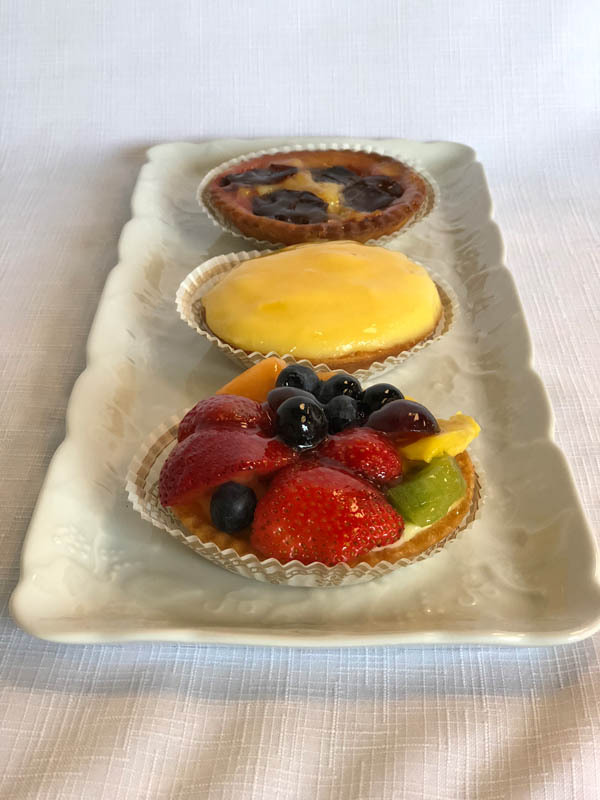 It is here where artistry meets great taste. 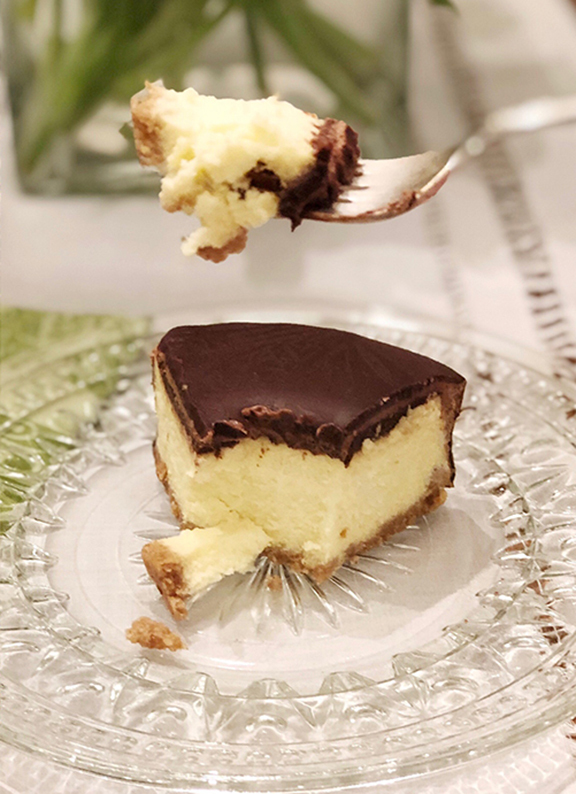 Creamy, smooth cheesecake with chocolate ganache topping and graham crust. 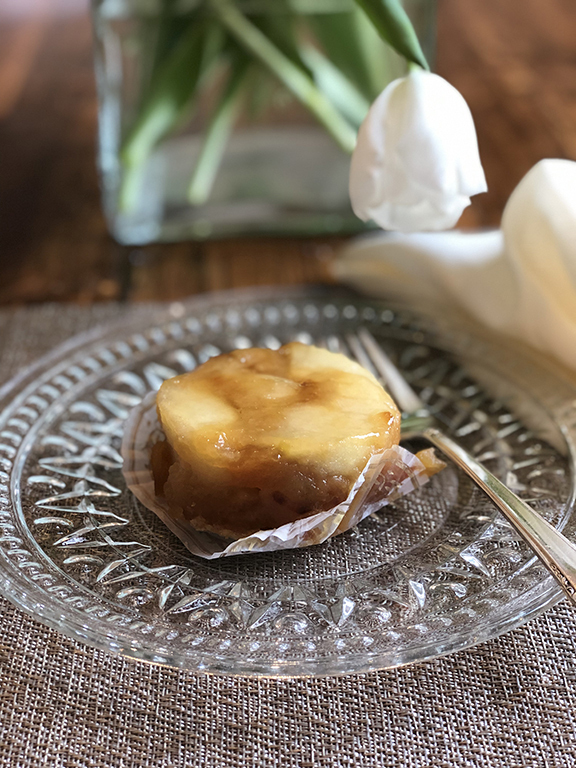 Caramelized apples atop buttery pastry. 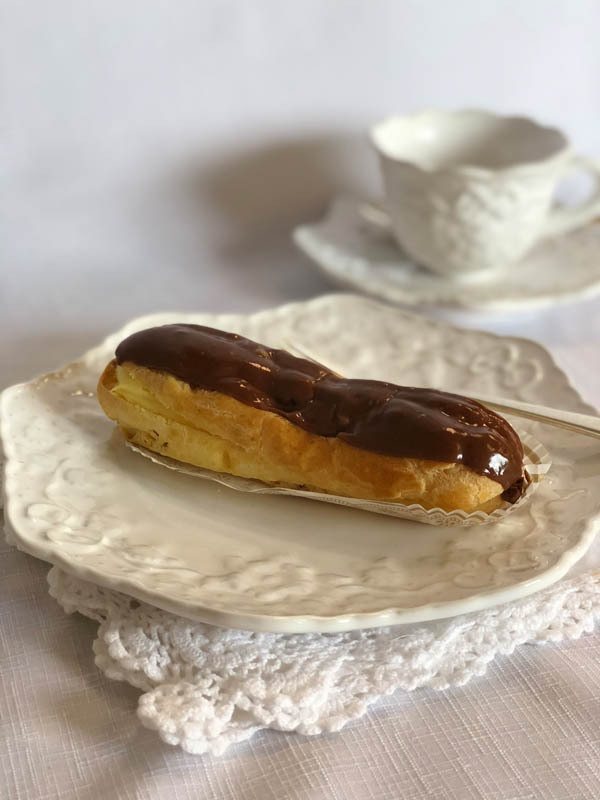 Puffed pastry shell filled with coffee custard. 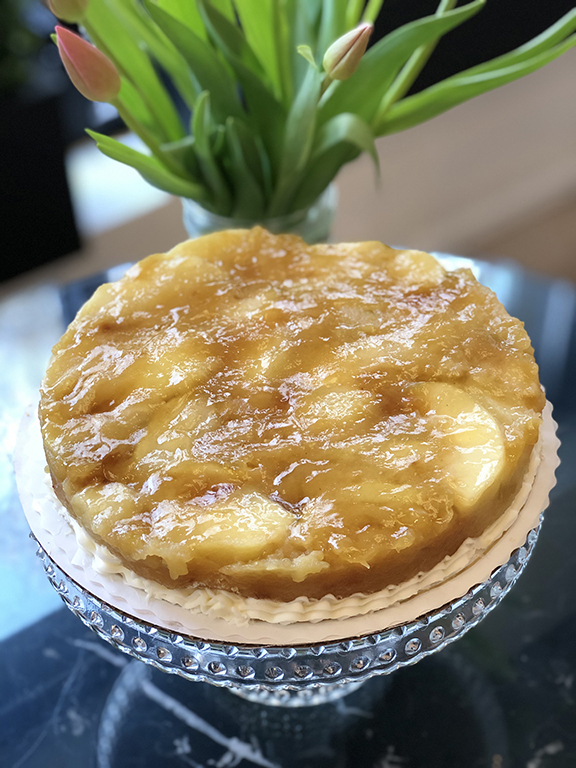 Caramelized apples atop buttery pastry, individual size. 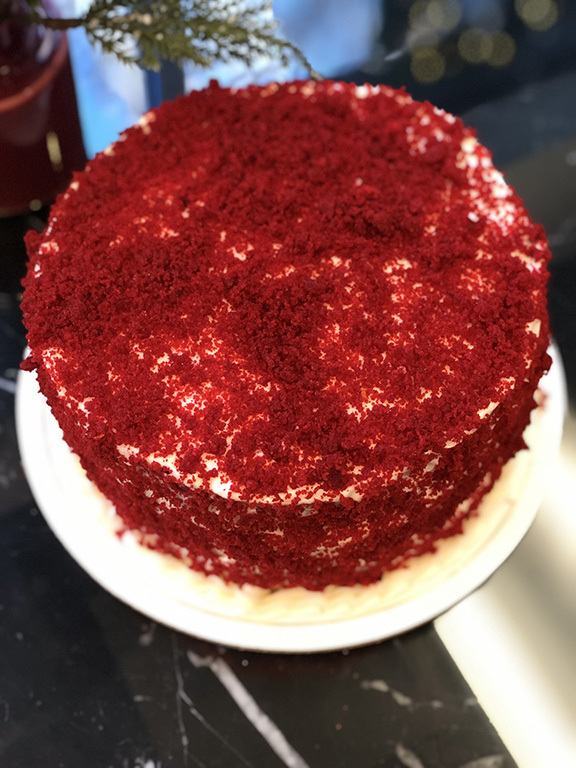 Moist, velvety cake layers surrounded in a cream cheese-buttercream frosting. 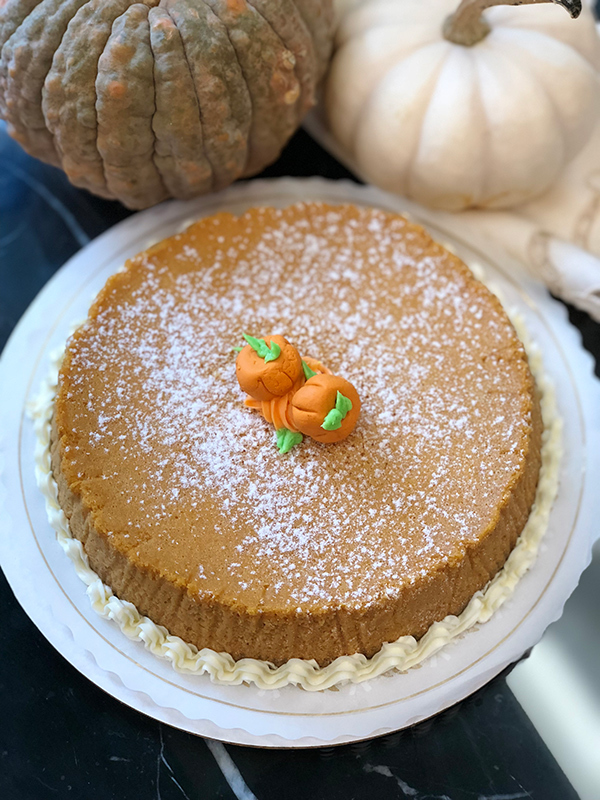 The subtle flavors of pumpkin and spice cheesecake baked in a buttery graham cracker crust. 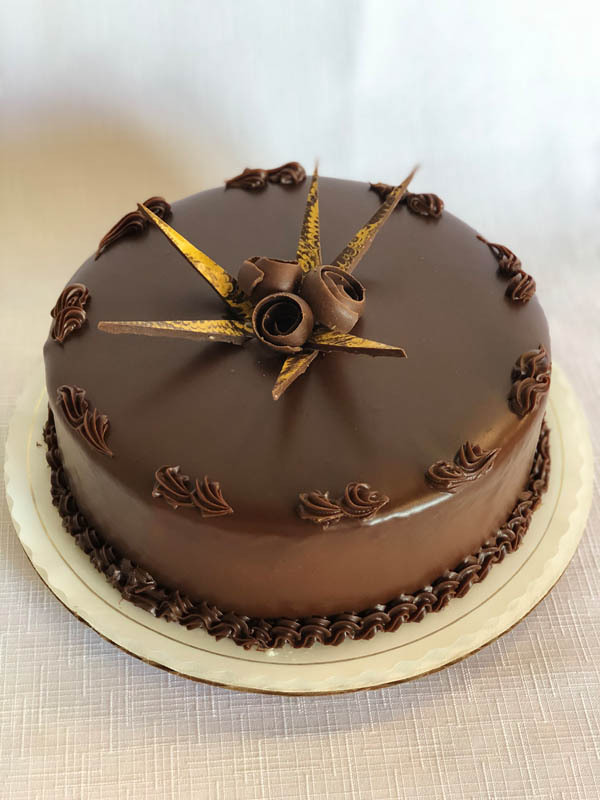 Chocolate sponge cake layers filled with dark chocolate ganache. 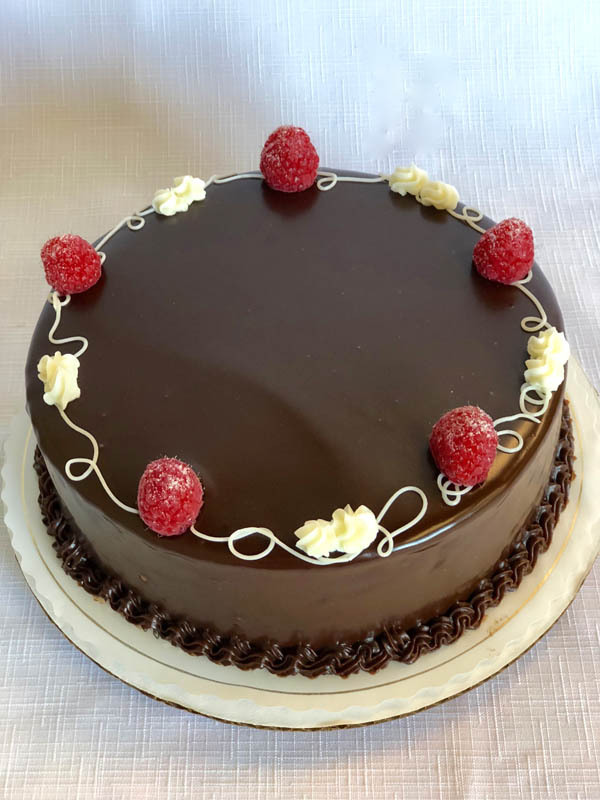 Dark chocolate ganache and raspberry preserves between chocolate sponge cake layers. 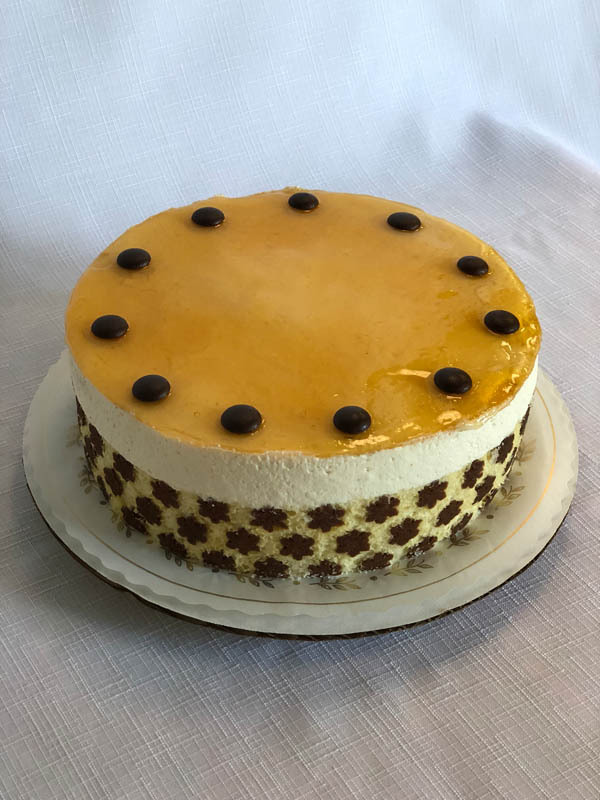 Pear mousse and dark chocolate mousse fillings between chocolate and vanilla cake layers. 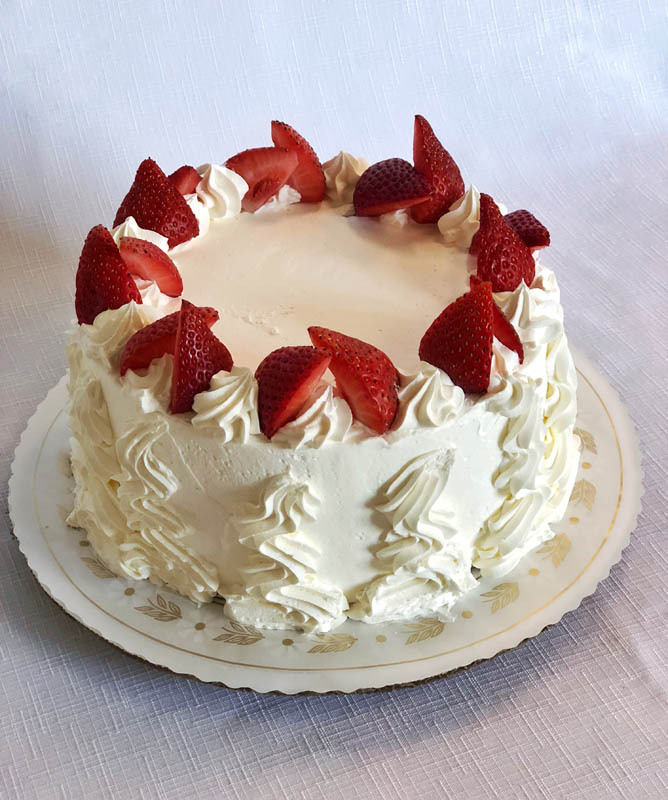 Vanilla sponge cake layered with fresh strawberries and whipped crème. 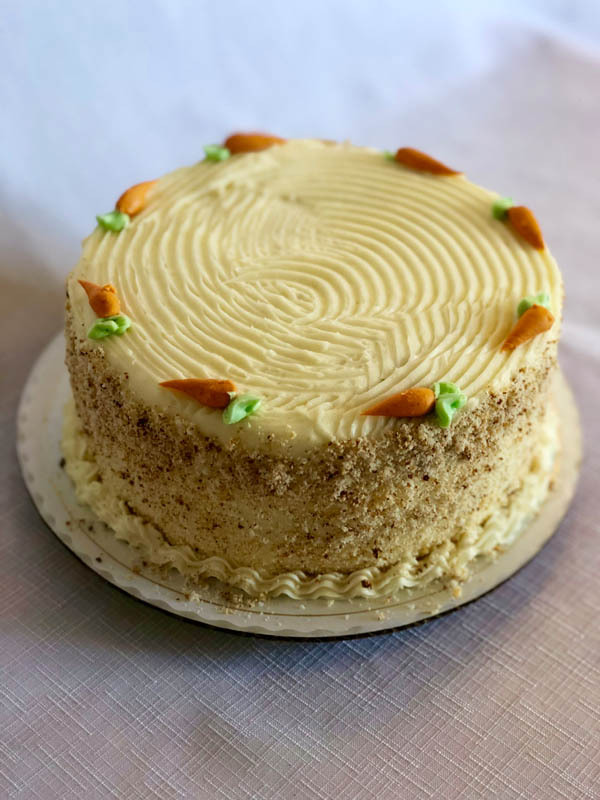 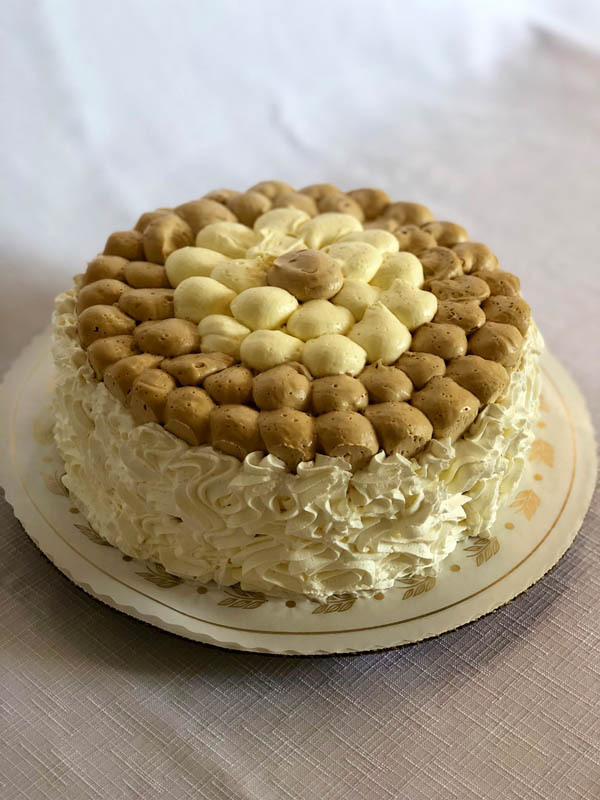 Moist carrot cake with white raisins, walnuts, and a crème cheese frosting. 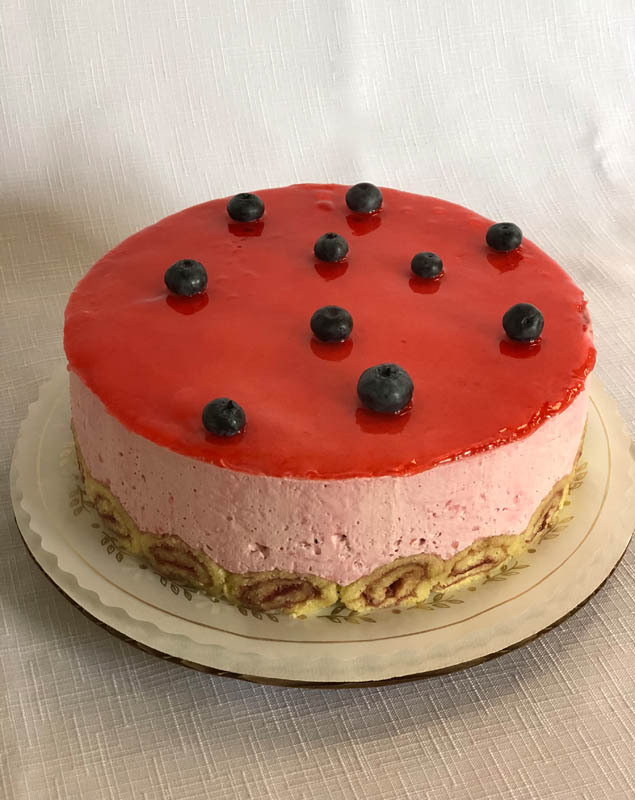 Raspberry, cassis, and strawberry mousse fillings layered between vanilla sponge cake. 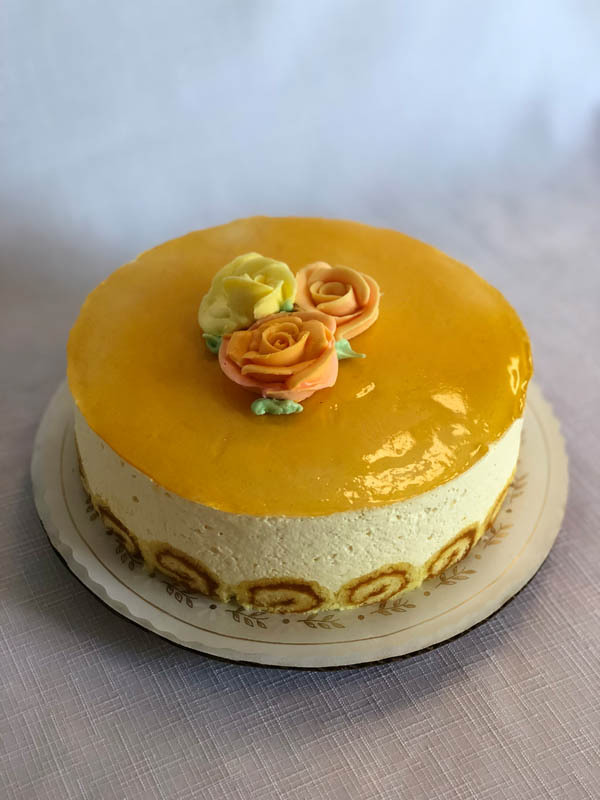 Passion fruit and raspberry mousse fillings encircled by decorative spirals of passion fruit preserve-filled vanilla sponge cake. 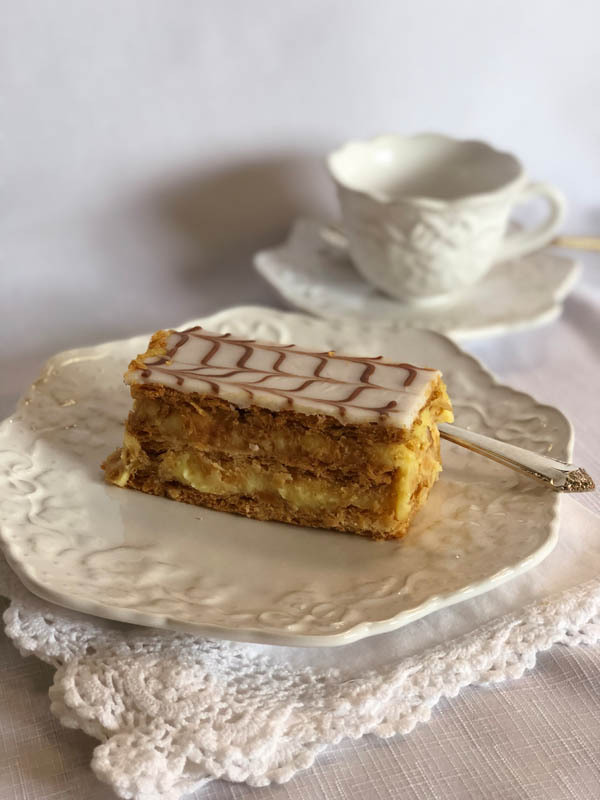 Vanilla sponge cake layers with coffee and marscapone crème filling. 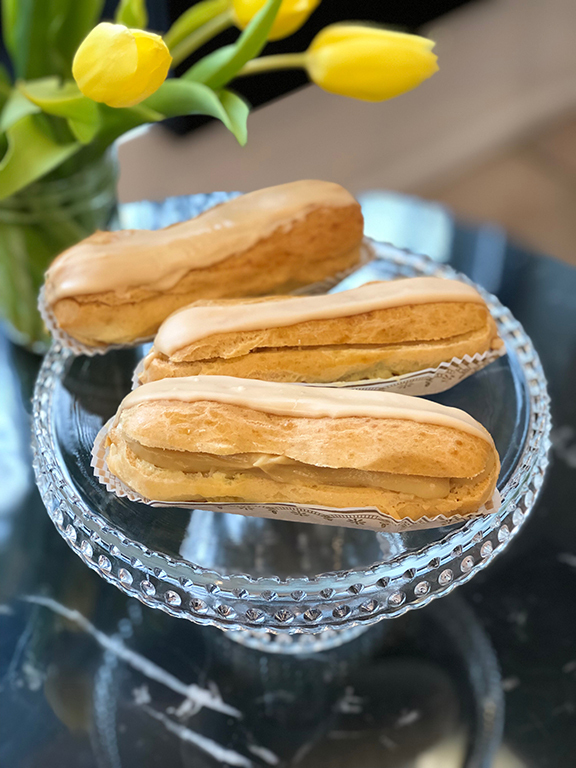 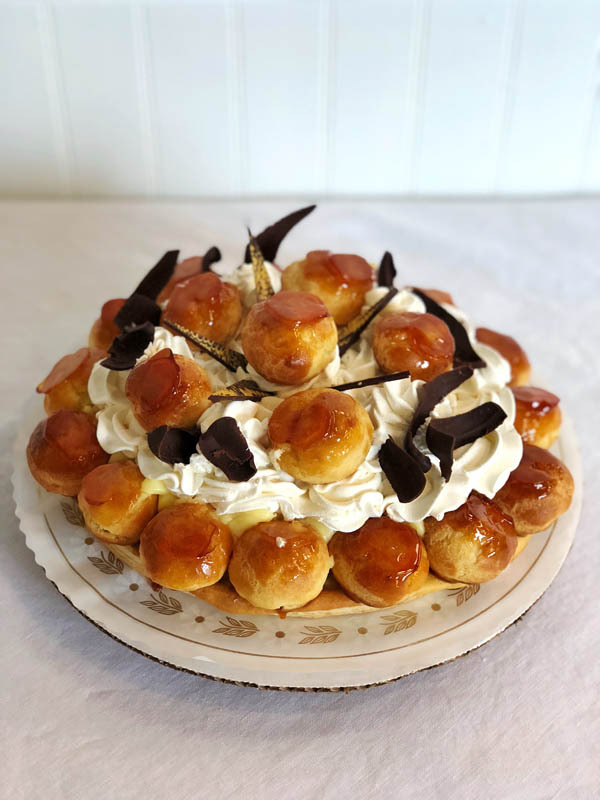 A delicate puffed pastry cake filled with vanilla crème and fresh whipped crème, finished with a sugar caramel glaze. 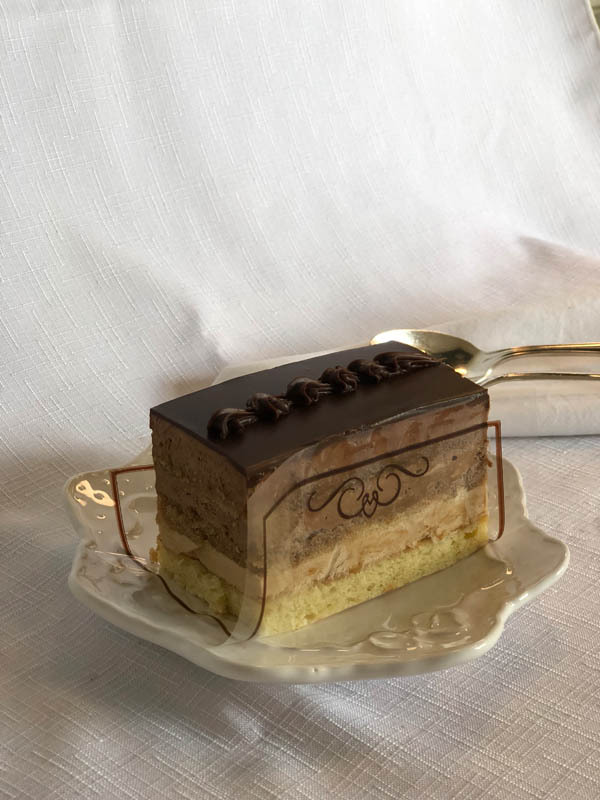 Almond sponge cake with coffee buttercreme and dark chocolate mousse layers, finished with Belgian chocolate ganache. 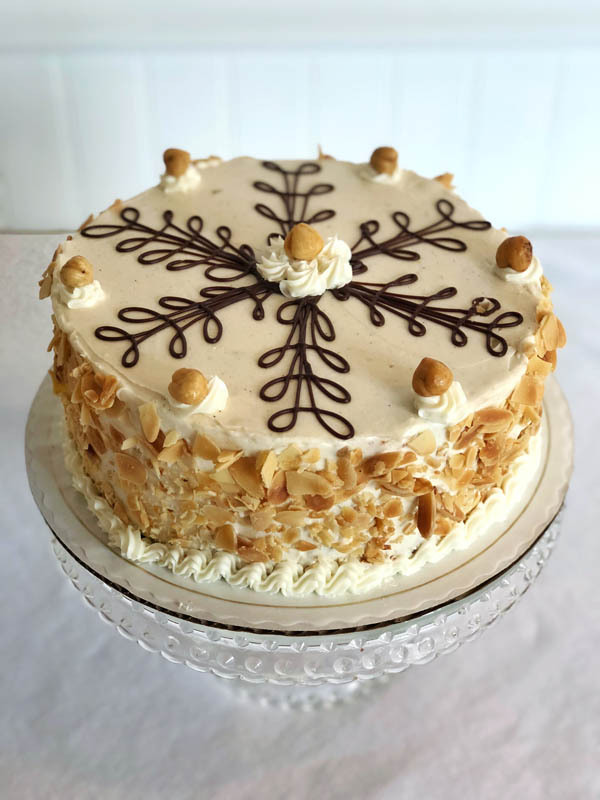 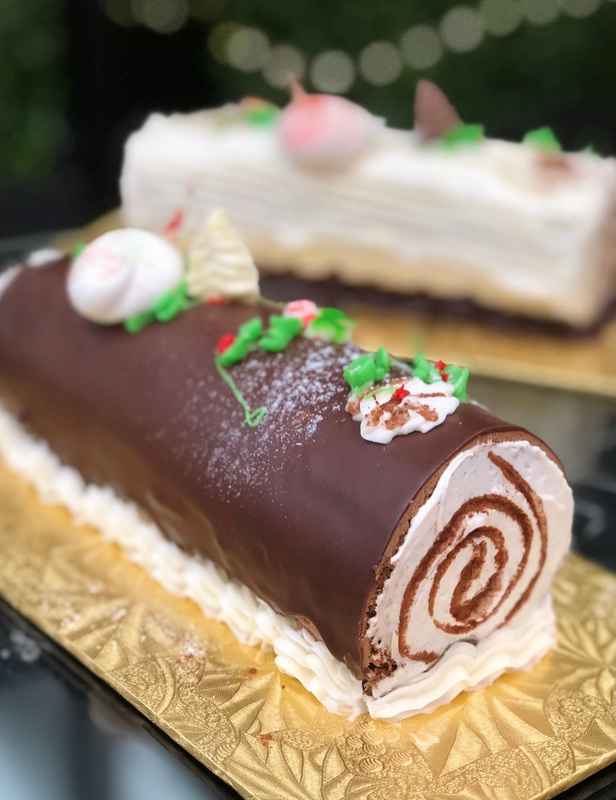 Hazelnut meringue layers filled with dark chocolate mousse, praline whipped crème, and hazelnut buttercreme. 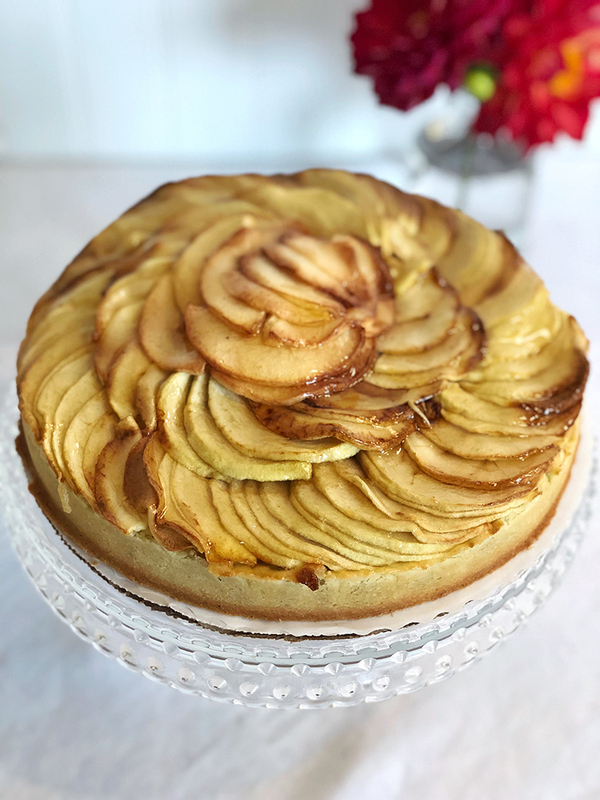 Apples, cinnamon, and sugar, baked in a delicate phyllo pastry. 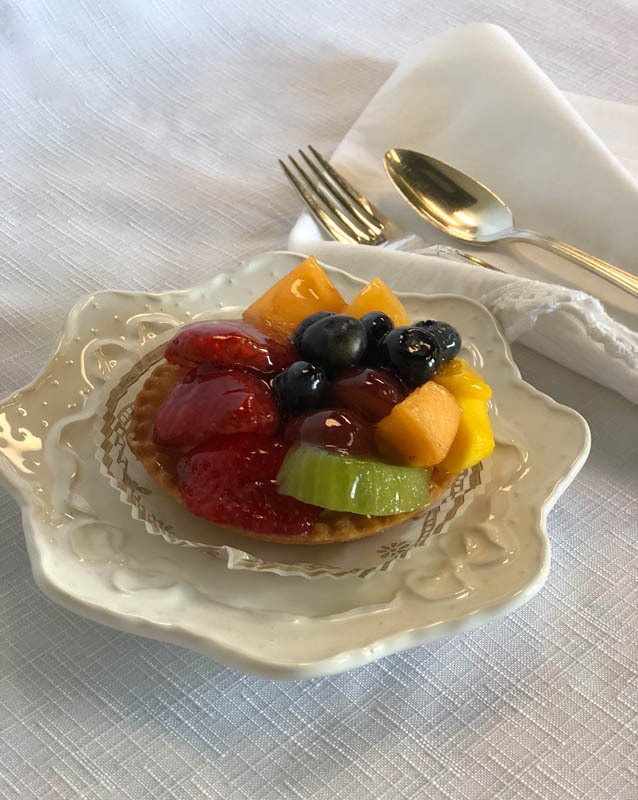 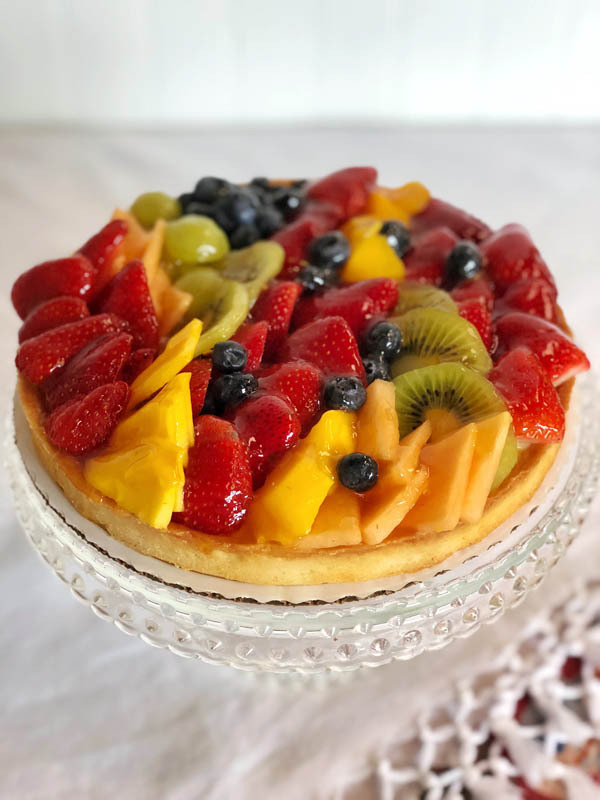 A sweet crust filled with vanilla custard, topped with a variety of fresh fruit in season. 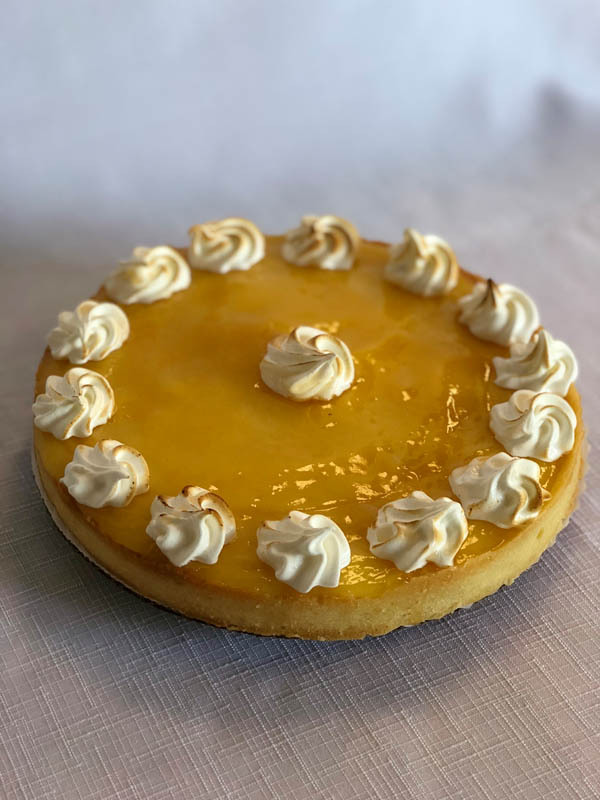 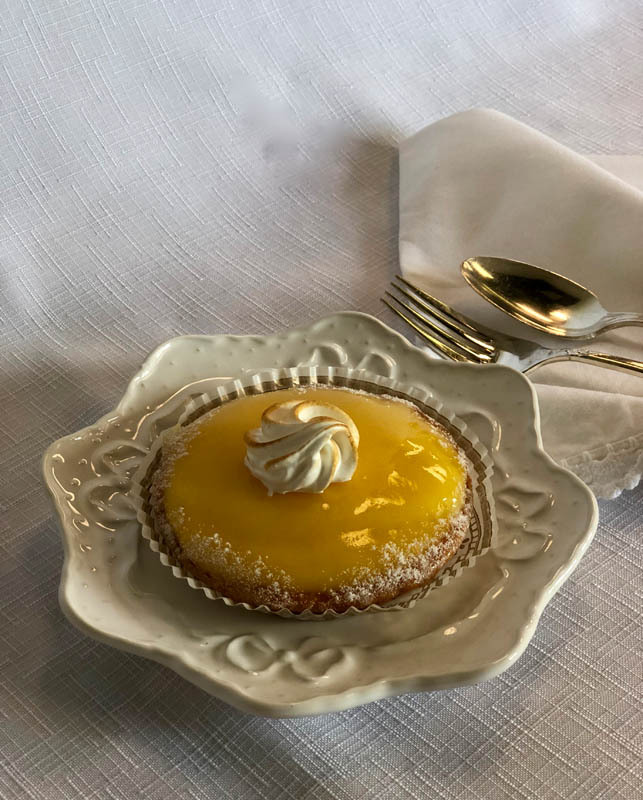 A sweet pastry crust filled with a baked lemon curd. 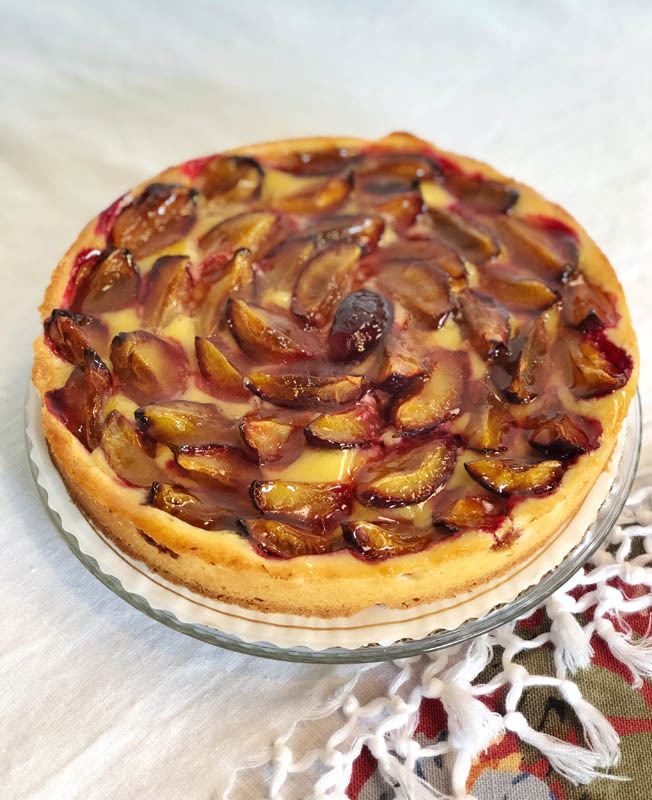 Fresh plums baked with frangipane crème in a sweet crust. 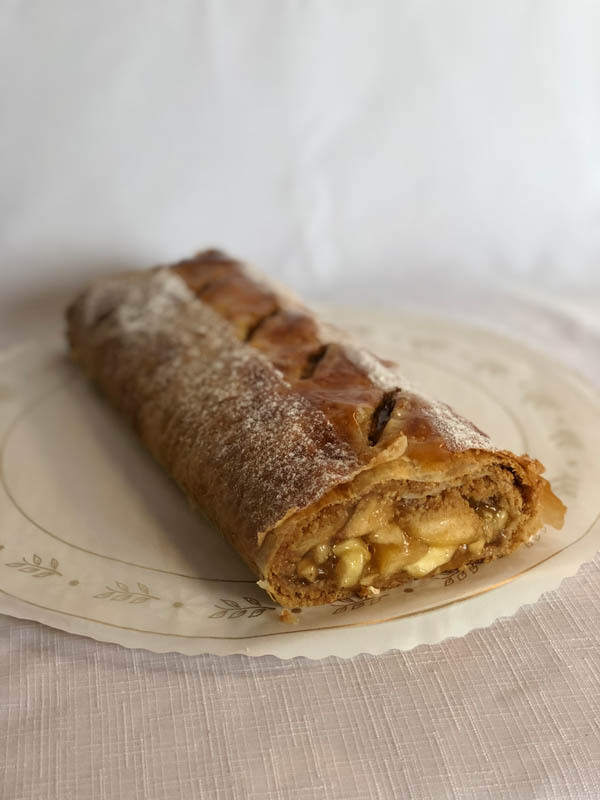 Sliced apples circle a fresh apple filling, baked in a sweet pastry crust. 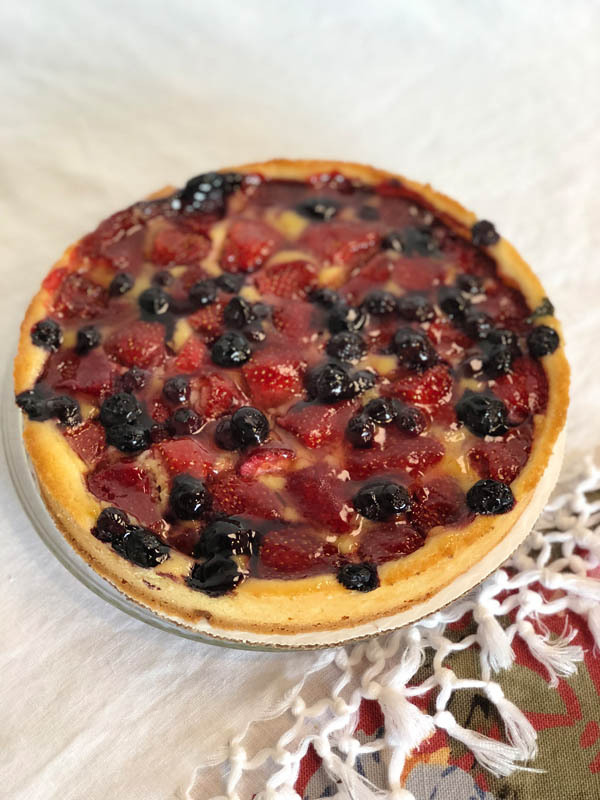 Assorted berries and frangipane crème in a sweet crust.